Do you own a video camera and sometimes fail to shoot films as professionals do? Or, maybe, you oftentimes download videos from YouTube that appear to be upside down? If your answer to these questions is “Yes”, then you certainly know that a need to rotate AVI is something many people face. Then, select the files you want to convert and their target format. You will have a choice of either converting and rotating them or just rotating. 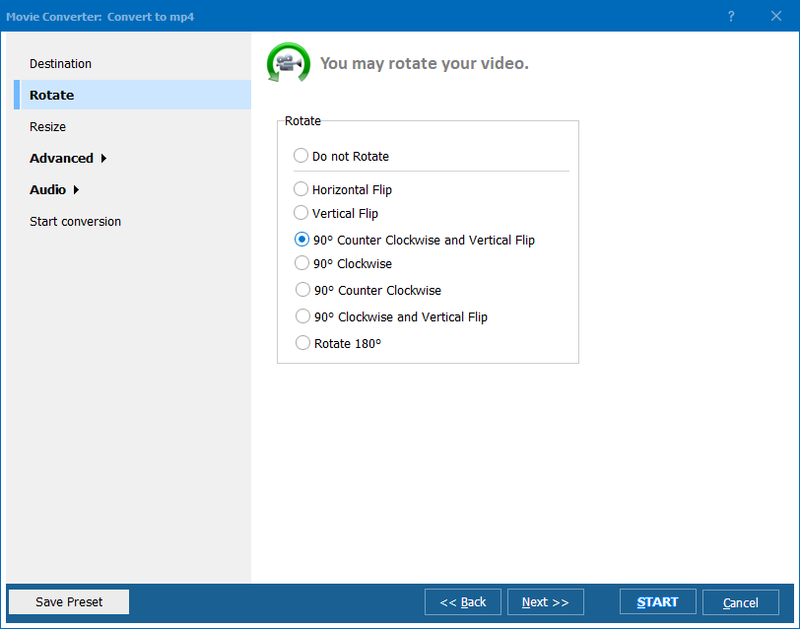 Specify the current video orientation and the desired one (Total Movie Converter offers you 8 options) and press the “Start!” button. 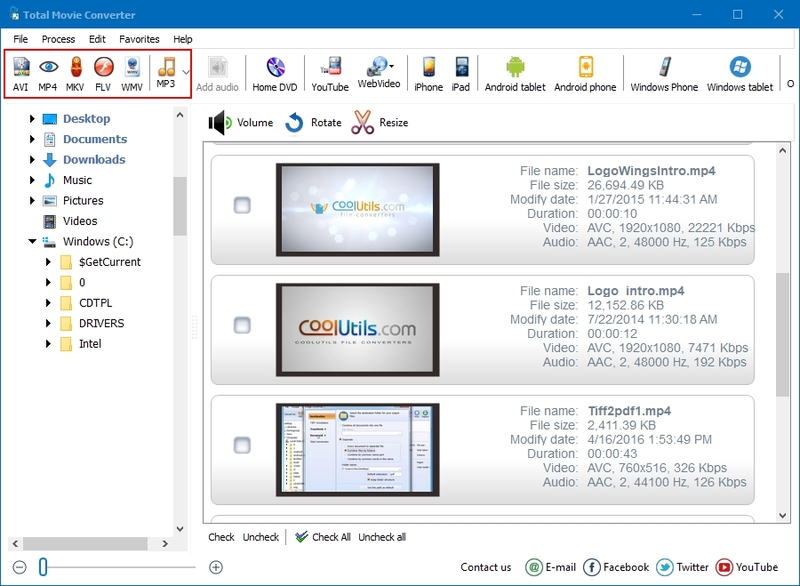 Visit the official website of CoolUtils and get your free trial version of Total Movie Converter now. It is valid for 30 days and is absolutely free. There are no hidden fees or obligation, so don’t wait, get it now!